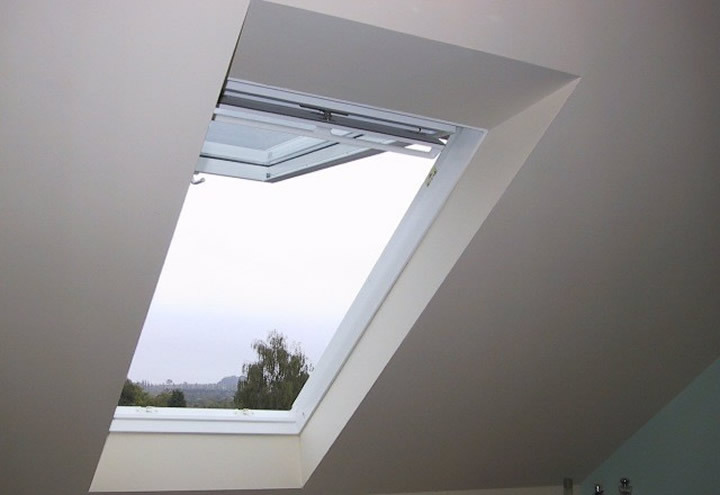 The client had choose Top Hung Velux white polyurethane roof windows these cost about £30 each more than the standard pine finish, but look very modern and crisp. They still have a timber core, and but with a white moisture resistant coating means they're extremely durable. 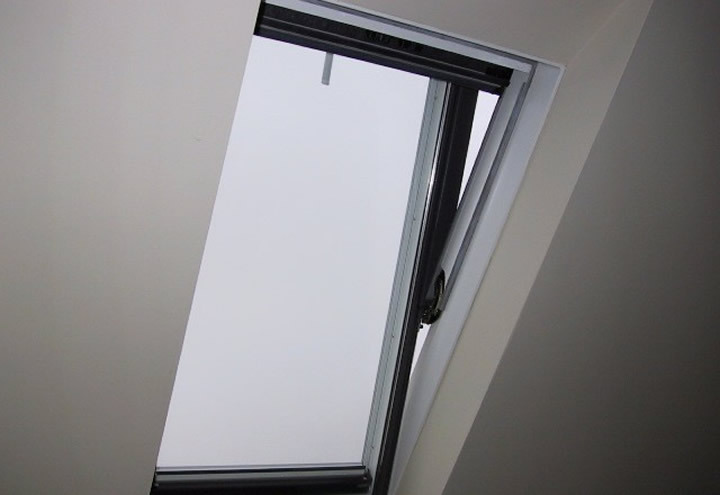 Top Hung is great for looking out of when open (see picture). 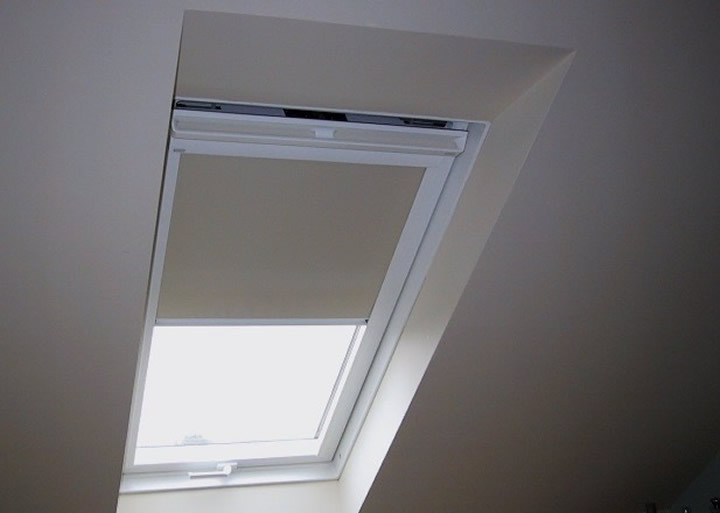 Velux make a great range of blinds that fit really easy and allow the window to be opened with blind open or closed (see picture). The windows are made turn up side down to allow cleaning (see picture).